VIPARSPECTRA 1200w LED Review | Best 1200 watt LED Grow Light? Deciding which LED grow light is right for your growing operation is fundamentally the most important step in indoor growing. It must be planned out accordingly so that your plants are paired with an LED light/s that can give them the nutrients they need via vital spectrum that some LED’s just don’t output. If you are a meticulous indoor grower or if you are getting started with a new grow setup you may want to check out our Viparspectra LED review. What Does The Viparspectra 1200w LED Come With? Before we jump right to the review, you should know something about Viparspectra. Why? 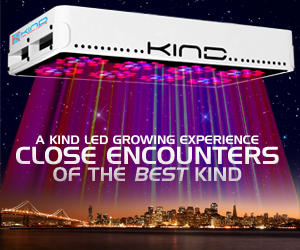 Because Viparspectra has made a name for itself in the LED grow light niche. Admonished primarily as a company of growers who make lights for growers. They are a Chinese company that manufacturers LED’s for the purpose of growing plants at high yields. Maybe because China is populated with millions of people and growing food in a bountiful fashion is necessary or maybe its because they love growing cannabis in China. Who am I to say? Whatever the case may be, the lights made by this company truly stand out in a sea of copy cat manufacturers. In every LED made by Vipraspectra, the light includes IR (Infrared). This provides the full spectrum that plants of all kinds love throughout each and every phase of plant growth. The light is also programmable in order to mimic the phases of the sun throughout a traditional growing season. For the Veg phase (before bloom) the lights can run cool and all day long with a switch to produce the spectrum that the plants need for this time period. When it comes to harvesting, a grower can adjust the time the light is on to a shorter fall-like duration along with a flip of a switch to give the plant the light spectrum it needs to bloom and flower. This makes for some potent plants in the long run and also offers precise control of the grow room environment. Viparspectra has been around since 2013 as a brand managed by Shenzhen Bailuo Technology Co., Ltd. The great thing about this company is their above and beyond customer service. They simply want you to be a successful farmer/grower. They are very responsive and possess a wide array of knowledge that can help you grow. Should you ever have a question you can travel to their website and ask. Simple as that! Typically most indoor grows don’t require much more than a 1000 watt LED it suffices to say that an extra 200 watts of power won’t hurt. We found that the Viparspectra 1200w LED grow light is a great option if you are considering a light of the 1000 watt plus category. Not the cheapest light in this category but it is an LED that produces quality yields and is one of the more powerful lighting rigs in this genre of indoor plant growing. With this light, you can be sure your plants are getting the spectrum of light they need to be healthy and bountiful. Indoor gardening needs a natural source of light that offers full spectrum light capabilities. The Viparspectra 1200w is fully capable of producing a full spectrum that can penetrate deep across your plant’s canopy. Being able to mimic seasonal light to match a plant’s flowering and veg stages is a huge bonus. Experienced indoor gardeners understand the need for easy spectrum adjustments to make the most out of their yields. Very similar to the Viparspectra 450w review, the light adjustment spectrum settings worked wonders. Throttling and changing the light depending on the early stages of plant growth with less and upping the light as the plant’s growth changes is vital in the process. The makers of this Viparspectra 1200w were smart when they designed this system and even incorporating IR into the mix to help with healthy plant cell division. A common issue with indoor growing is keeping your temperatures optimal for plant growth. Indoor lighting tends to run hot, especially when a grow room is in a small enclosed space that does not allow for heat to escape easily. Fresh cool air is a must when growing indoors. In order to tackle this issue, Viparspectra designers incorporate six quiet inline fans engineered directly into the grow light panel. A smart decision in a 1200 watt grow light. This extra cooling that the LED light provides eliminates the need for expensive fans and ventilation systems. Of course, the smaller space, the bigger a chance you may need to purchase extra cooling systems for your grow space. If your grow space is spacious enough to allow a fresh rhythm of air to enter then you are probably okay without additional fans. The fans are quality constructed with aluminum heat sinks that allow built-up heat to funnel and dissipate rapidly across the metal cooling things down even further. Overall, compared to an HID or HPS grow light of comparable wattage, the Viparspectra 1200w LED will reduce heat by 70% – 75%. The majority of generic LED grow light systems don’t typically allow for finite control. They add LED bulbs that cover all the spectrum a plant needs but lack the ability to change or stop a certain spectrum during plant phases. This is usually fine with less experienced indoor growers and is adequate to grow plants. That being said, in order to increase yields and get the most from your plants, control of all spectrum is vital. The Viparspectra 1200 watt LED gives you this control through simple switches on the light panel. Allowing the grower to manipulate light accordingly makes indoor grow enthusiast happy and plant growth even happier. With two-phase switches to change from veg to flower, you can just plain grow plats better. The veg switch lowers the red spectrum and increases the blue spectrum to give your plants what they need during this plant life cycle. The bloom switch does the opposite allowing for beautiful flowering cycles. This helps to maximize your plant’s growth and quality. Although this LED boasts 1200 watts of power, your electric bill won’t notice. I hate costly energy bills and since switching over to LED grow lights I have yet to see one. The Viparspectra 1200 watt led was no exception during our review and testing. Veg/Bloom switch for perfect control of the light your plants need at the right time. Heat is not an issue. Yes, 1200 watts sounds like a big number that would produce a ton of heat that plants hate. This LED light solves this issue with their low heat footprint with the added benefits of quality 6-inch fans and heat sinks that create a much cooler environment than traditional HPS grow light bulbs that get very hot. Even grow areas under the 1200 watt lamp. Coverage is not a problem with this lamps 4 foot by 4-foot area for growth. A sea of green growing method would be perfect for this LED. The beauty of LED’s is they simply don’t burn up the energy and cost you a fortune in electricity bills. Rated at 1200 Watts, this product from Viparspectra only consumes 524 watts but outputs light equivalent to 1200 watts of full spectrum plant growing energy. Although this quality engineered lightbox is pricey from a first purchase standpoint, the energy saving from running lights for up to 14 hours a day puts a ton of money back in your pocket in the long run. These long term savings on the back end is another reason for loving this light. We do a ton of LED grow light reviews so you can imagine what our energy bill looks like. Although the lights may not look bright to the naked eye, the light spectrums can be damaging if looked at without protection. We always recommend using eye protection when indoor gardening with any kind of LED lights. There are a lot of inexpensive brands that do the job. One of our favorites is the Apollo Horticulture glasses and yes, they look pretty cool too! Knowing that your new LED light is covered if some unforeseen thing happens and your lights break is important. The Viparspectra 1200 watt LED as well as the full line up of Viparspectra lighting comes with a 3-year warranty. Chance are that you won’t need it. The lighting is durably made and uses quality materials in constructing these LED’s. We have not had a problem with Vipar yet, but it is nice to know these are backed by an industry leading warranty. This LED light system gives coverage of about 4 feet by 4 feet per each LED used. Not a huge area but the difference comes with this lights ability to penetrate and cover deep down to the plant’s roots. For our test grow we grew tow plants which were perfect as the plants sprouted and flourished. The lights do not require a ballast and come with an easy to use hanging system. As the plants began to get closer to the LED, we could easily adjust the lighting higher to accommodate their growth without having to worry too much about the depth of penetration. The package arrived with the light system, hanging system and power cord and not much else. The power cord is a lengthy 6 feet which give ample length to plug into the closest power source. This LED lamp is a fantastic choice for beginners and experienced indoor gardeners. The ability to cycle light phases accordingly will help you grow dense and beautiful nugs full of flavor and splendor. Overall we were very impressed using the Viparspactra 1200 Watt LED. This will be surely a go-to for our plant growing needs!